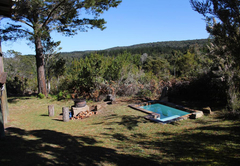 Eden's Touch Guest Farm is a highly recommended property providing self catering in Plettenberg Bay for tourists visiting the Garden Route region. 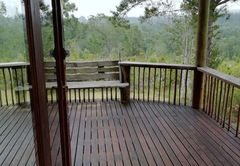 Enjoy the peaceful, self catering Honeymoon and Family chalets, in a beautiful forest setting, situated between Knysna and Plettenberg Bay, on the Garden Route. 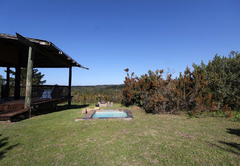 Perfectly situated for cycling, hiking, mountain-biking, and golf. 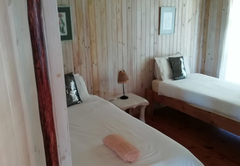 Chalet offers a bedroom with a Queen-size bed and an en-suite bathroom with a sunken bath for 2 (with 180 degree views of the garden and forest). The lounge has a TV with DStv and a double sleeper couch. 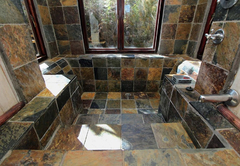 There is also a double shower room. 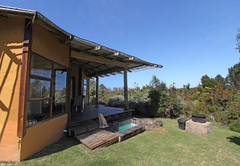 There is a fully equipped kitchenette, spacious covered dining deck with a braai and private plunge pool. 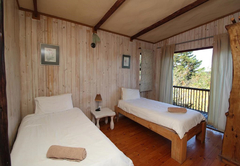 The two bedroom chalets offer a double bedroom and a twin bedroom. 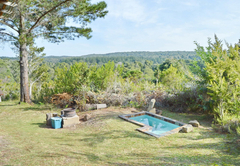 There is a family bathroom with bath and shower. The Lounge has a sleeper couch and comfy furniture. 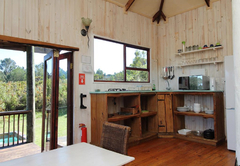 It opens to a six-seater dining-room and a fully equipped kitchen. 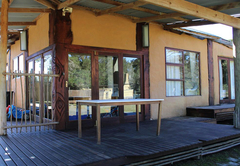 Folding sliding doors lead onto a spacious entertainment deck, private garden and braai area. 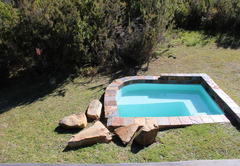 Each chalet has its own private splash pool. 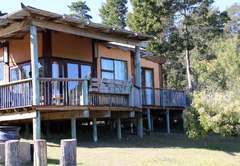 Our 3 bedroom chalets have two double bedrooms, plus a twin bedroom (two single beds which can be pushed together). 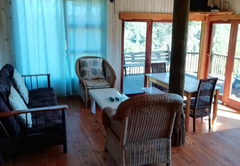 The lounge (with DSTV and a double sleeper sofa) is split-level to a dining room for six, and an open-plan kitchen with a two plate gas stove, microwave, fridge / freezer and other small appliances, crockery and cutlery. 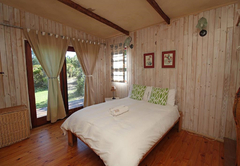 Full family bathroom with black-slate bath and shower, toilet and basin, plus an en-suite shower to the main bedroom. 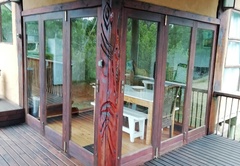 There are two sets of French doors from the dining room, which open up onto the spacious entertainment deck with dining for 6, which almost brings the fynbos forest into your home. 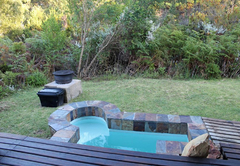 The garden is spacious and private and has a wonderful vista, its own braai and splash pool. 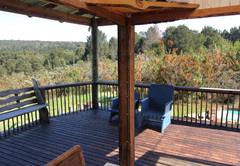 Our one bedroom cottages are semi-detached, but each has its own garden with a spacious entertainment / dining deck for four, a braai and private splash pool. 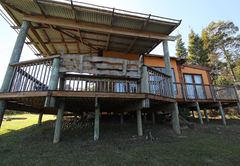 There is a double bedroom plus a small lounge with a double sleeper sofa and DStv. 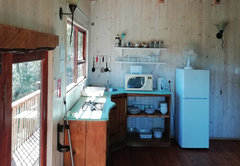 Each cottage has its own kitchen and bathroom. 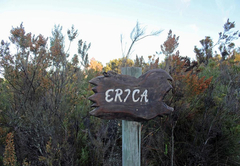 • Private guided forest walks on request. 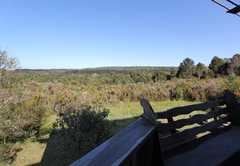 • Horse rides (Southern Comfort horse farm is opposite us using the trails through our forest). 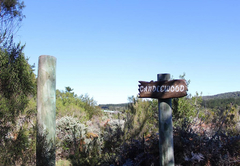 • There are lovely walks, and shady areas, streams and bird life to enjoy. 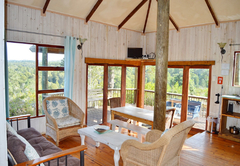 Clean warm and 'cozy' wooden chalet with all necessaties you need. 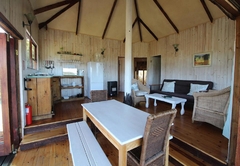 Gas heater lovely in winter to warm up the cabin. 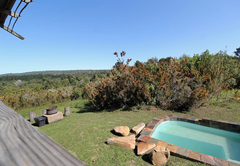 Open space outside for kids to run and play and lovely braai area in nature. 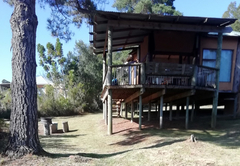 Absolutely beautiful place to stay. My only negative comment is the amount of flies inside our unit. 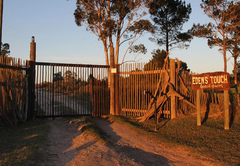 Please call us prior to arrival to arrange access.